From quasi-camouflaged to head-turningly flamboyant, these designs for outdoor seating can enhance the character of a commercial plaza, a municipal complex, or an outdoor hospitality area. Set in a hardscape or landscape, these ceramic boulders provide visual interest—subtle or striking, depending on the context—as well as seating. Custom engraving is offered. Available in rounded and elongated profiles and several colorways. 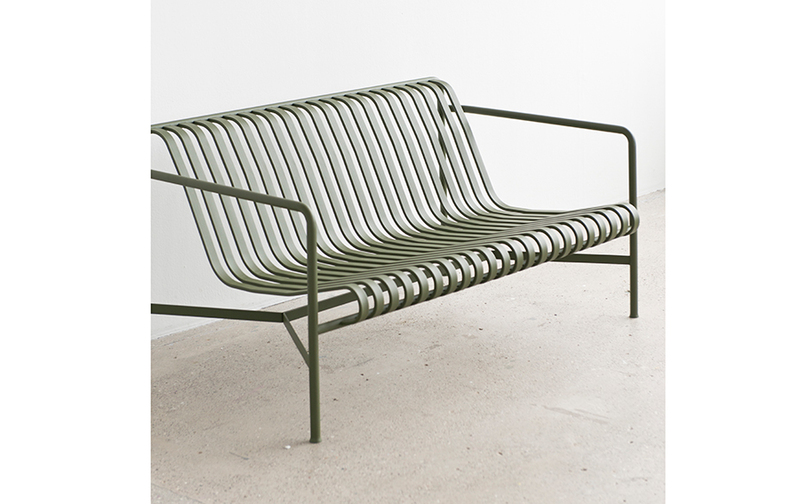 A sinuous, contoured stainless steel frame is fitted with aluminum slats to create a minimalist lounger. Components are offered in a limited palette of colors and finishes. 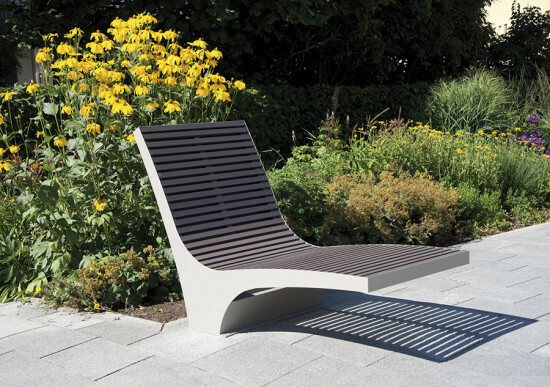 The slatted designed of this bench prevents water and debris from collecting on the seat. Part of a 13-piece collection of tables and seating, the powder-coated steel pieces are offered in three colors. 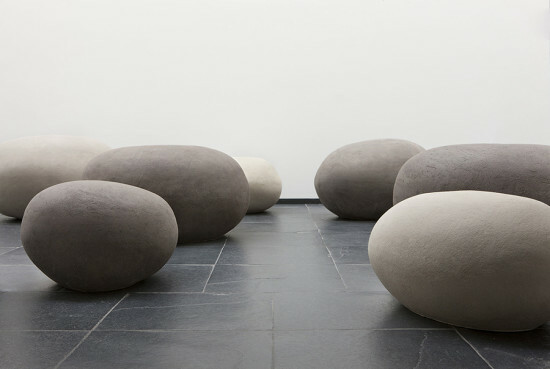 Designed by Ronan and Erwan Bouroullec. 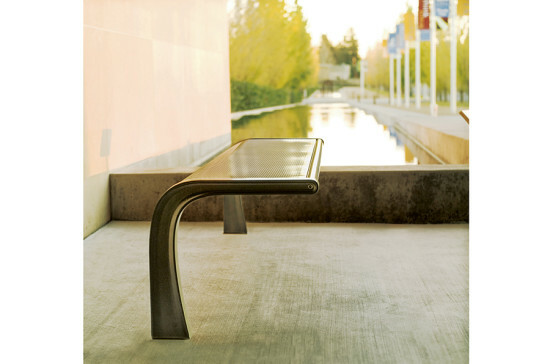 Part of the 35 Collection, this curvaceous cantilevered bench comes in backless and backed models; skateboard-discouraging seat dividers are optional. Surface- or embedded- installations are offered. In 22 standard colors; custom finishes available. Designed by frog. Fabricated in rotational-molded polyethylene, this loopy geometric bench has a matte finish. 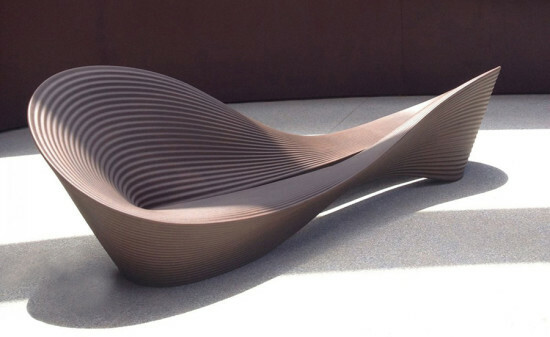 Designed by Ron Arad. 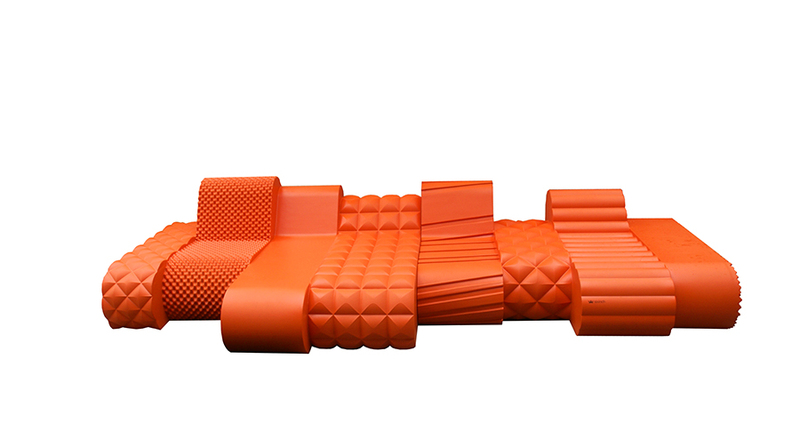 This exuberant lounge is made of recyclable, CNC-cut foam. It’s coated with a substance that’s flexible as well as weather-, water-, and UV-resistant. Measuring more than 13 feet long, it can seat a crowd in comfort. Designed by Pieter Jamart.